Depression in early pregnancy more than doubles the risk of gestational diabetes, which, in turn, increases risk of postpartum depression six weeks after giving birth, says a study. Gestational diabetes is a form of diabetes occurring only in pregnancy and, if untreated, may cause serious health problems for mother and infant. “Our data suggest that depression and gestational diabetes may occur together,” said study first author Stefanie Hinkle from US National Institutes of Health’s Eunice Kennedy Shriver National Institute of Child Health and Human Development (NICHD). “Until we learn more, physicians may want to consider observing pregnant women with depressive symptoms for signs of gestational diabetes. They also may want to monitor women who have had gestational diabetes for signs of postpartum depression,” Hinkle noted. Although obesity is known to increase the risk for gestational diabetes, the likelihood of gestational diabetes was higher for non-obese women reporting depression than for obese women with depression, the study found. The researchers analysed pregnancy records from the NICHD Fetal Growth Studies-Singleton Cohort, which tracked the progress of thousands of pregnancies, to understand the patterns of fetal growth. The study enrolled 2,334 non-obese and 468 obese women in weeks eight to 13 of pregnancy. The women responded to questionnaires on symptoms of depression when they enrolled in the study, again between the 16th and 22nd week of pregnancy, and then six weeks after giving birth. The researchers found that women who had the highest scores for depression in the first and second trimesters — about 17 percent — had nearly triple the risk for gestational diabetes when compared to women who had lower depression scores. 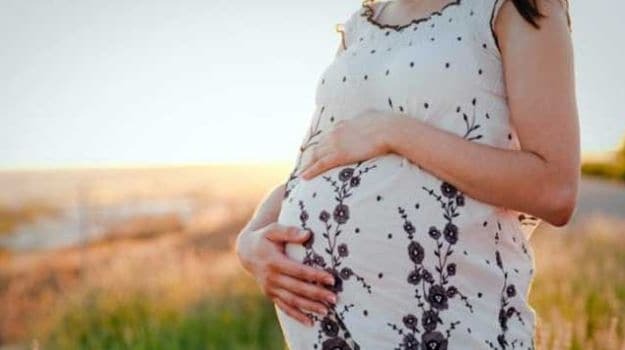 Of the women who developed gestational diabetes, nearly 15 percent experienced depressive symptoms after birth, which was more than four times that of women who had not had gestational diabetes, showed the study published online in the journal Diabetologia. The researchers believe that high blood sugar levels may lead to inflammation, hormonal, and other changes that could lead to symptoms of depression.